There will be auditions for the levels Intermediate, Intermediate-Advanced and Advanced. Please be realistic with levels as you sign up. This is not a beginner level. You have been dancing for around 4- 6 months and you are familiar with 6 and 8 count basics (Swing out, Inside and Outside turn, Lindy Circle, Tuck Turn…). You are still getting comfortable mixing all of these elements as well as connecting to your partner, although you’re ready for some rhythm variations! You have been dancing for up to a year and you attend classes and night parties regularly. You are familiar with both rhythms and general mixing of patterns (six counts, eight counts, charlestons…), as well as the technique that comes with it. You should be able to both dance to faster songs in Charleston feeling and to medium-tempo songs in Lindy hop feeling. You can lead/follow clearly. You have been dancing between 1 – 2 years and you attend classes and dances regularly. Sometimes you improvise on the rhythm of the music and you can handle medium-fast music fairly well. 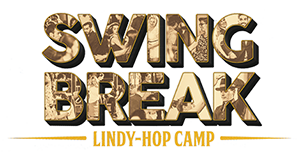 You should be able to comfortably lead/follow swing-outs (also to higher tempos), tuck-turns, and transitions between Lindy hop and Charleston feeling. You want to improve your dance vocabulary by learning new steps and variations, but also want to improve your overall technique and improvisational skills to be able to express yourself better. The material in circulation on this level will be challenging from all aspects: rhythmically, technically and tempo wise. You have been dancing for years and you regularly attend classes and night parties, as well as international workshops and festivals. You are able to quickly master new steps and variations, because you already draw on a big repertoire of figures and variations, but you are always up for new challenges. You have no problems improvising and handling really fast music. You already understand that the quality of movement is more important than a large number of figures. You can dance fluently to slow and faster music without throwing off your partner while maintaining your balance and your timing.